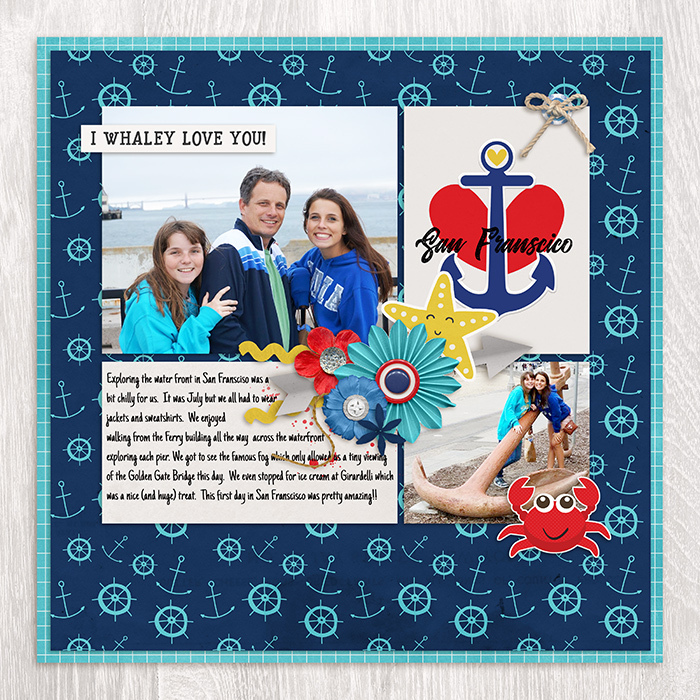 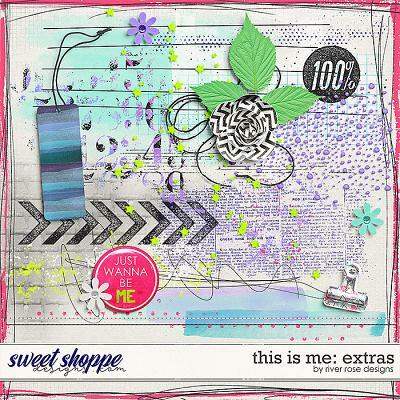 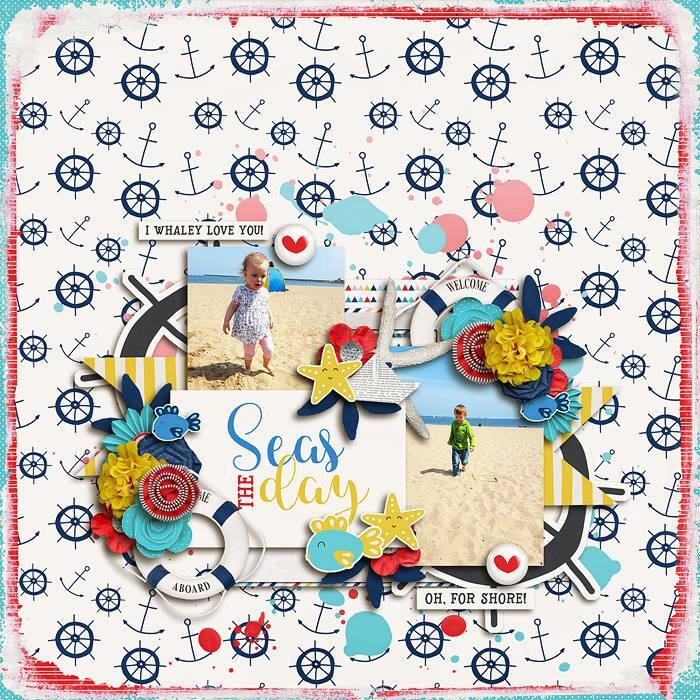 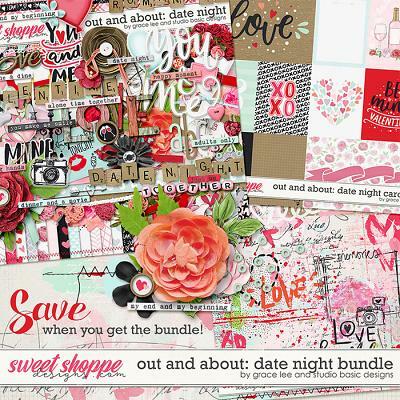 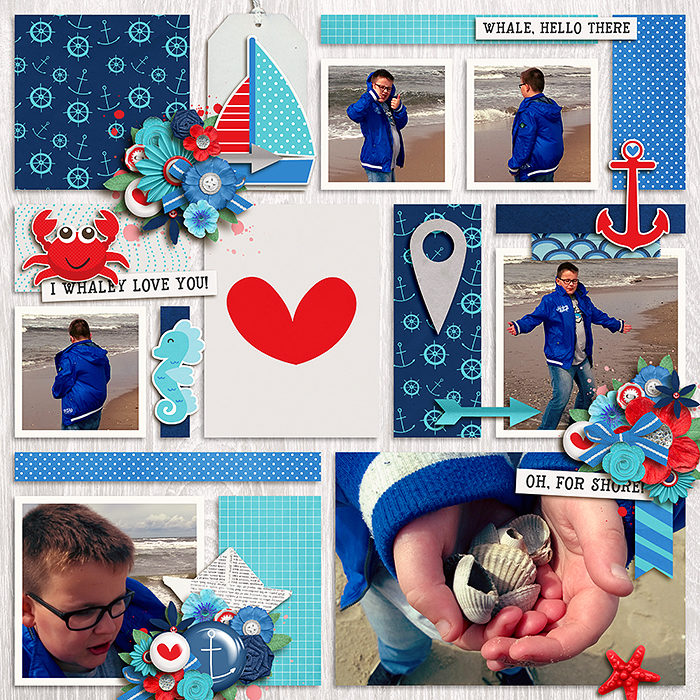 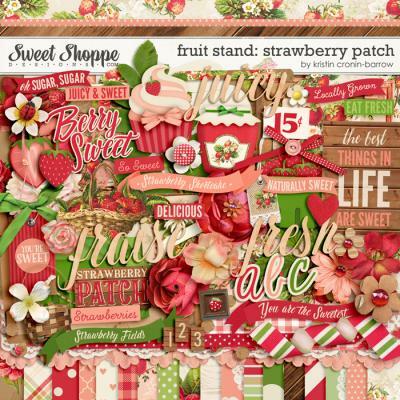 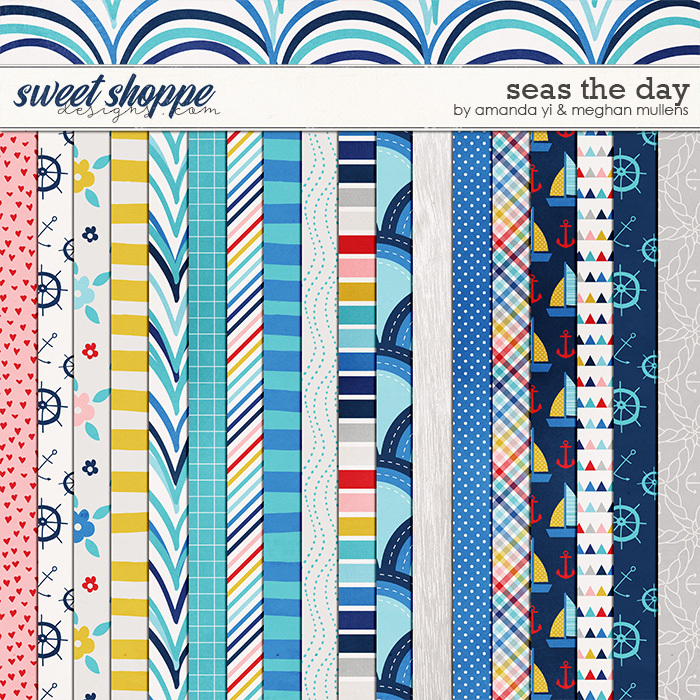 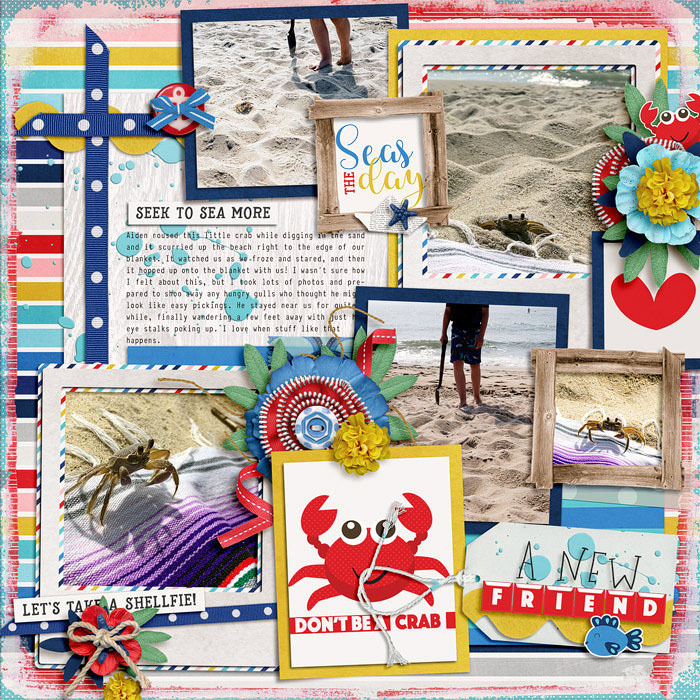 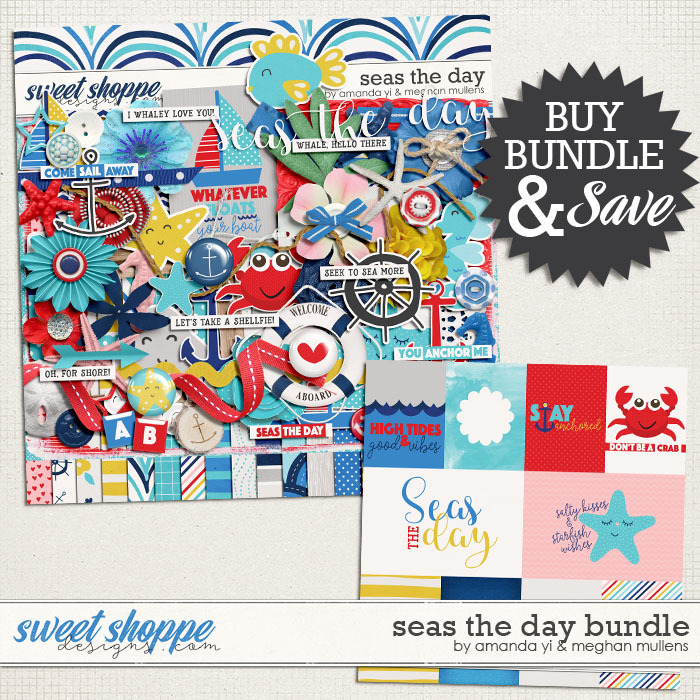 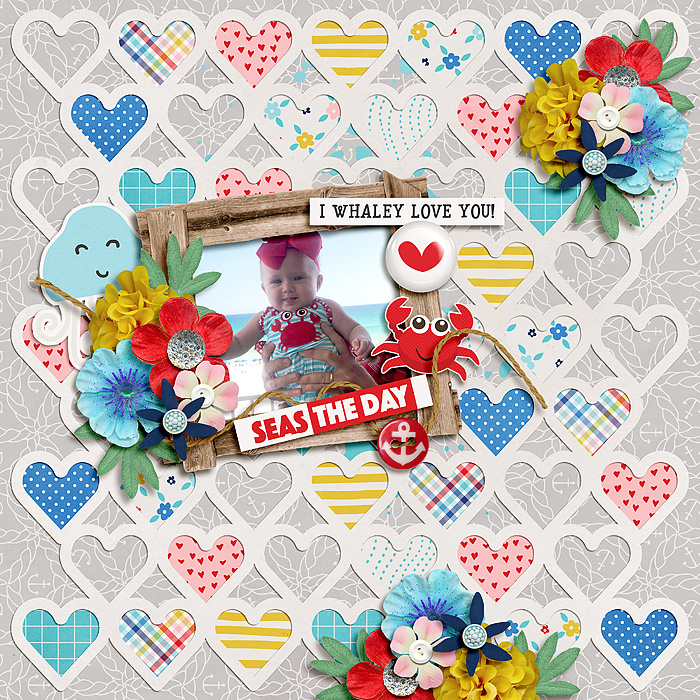 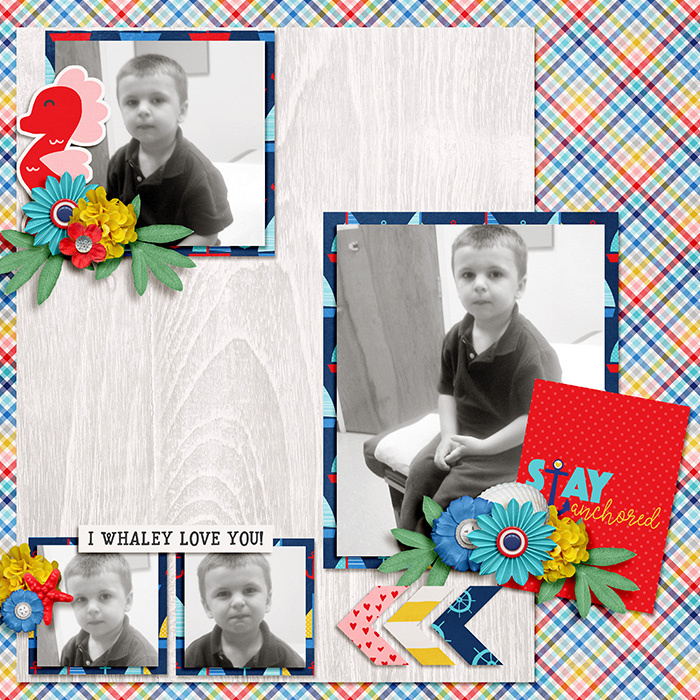 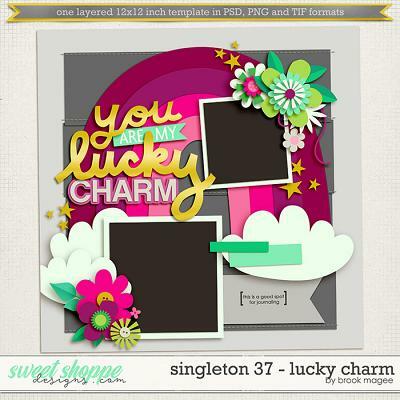 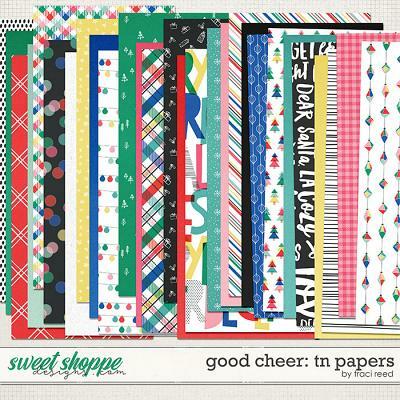 A digital scrapbooking collection by Amanda Yi and Meghan Mullens, Seas the Day, is inspired by a wonderful day or more on the sea. 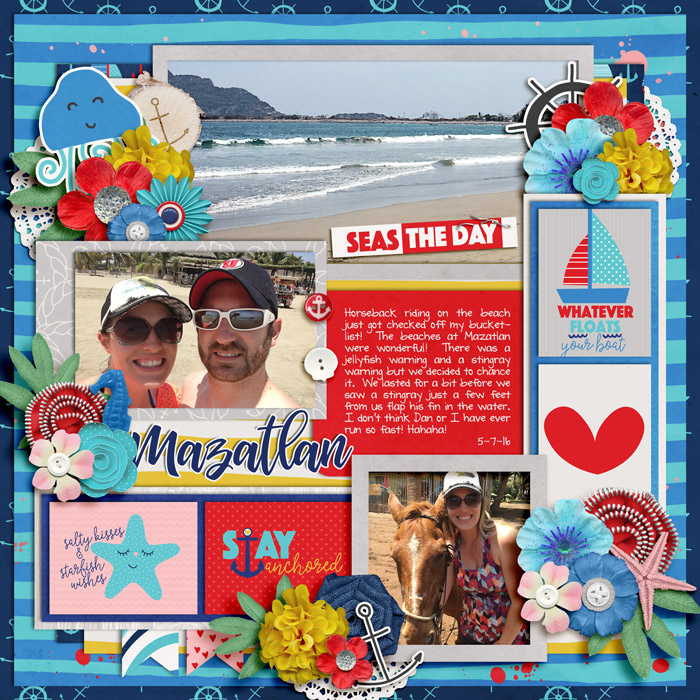 Whether you are on a cruise ship, sailing, whale watching, touring or chilling in a row boat, this collection will help document the fun and sun. 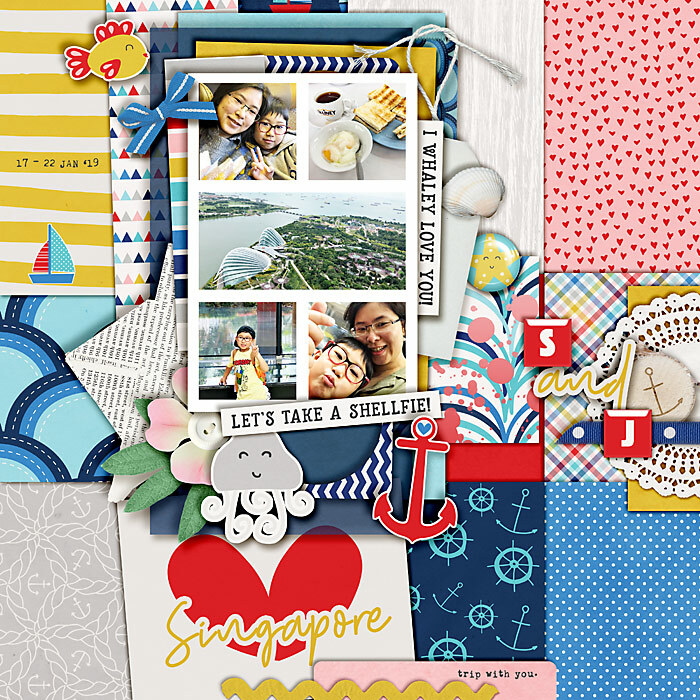 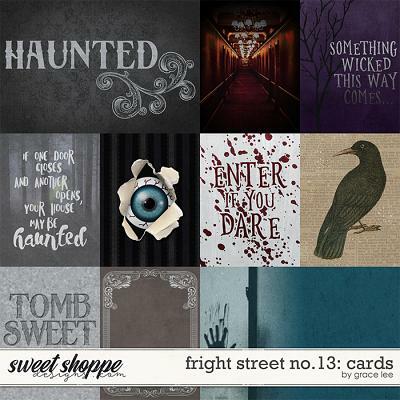 So come aboard and set sail to gorgeous layouts ahead!